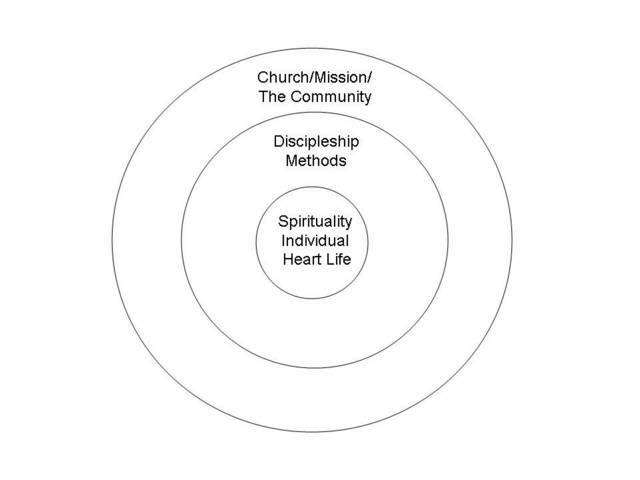 I have been posting a lot on Church (ecclesiology) and all its related topics of Mission and the emergent church, but now it is time to return to personal spirituality and sanctification. Now, we move back to our discussion of personal sanctification. How do we become the person that we so long to become? I am learning a great deal lately and so I will try to "describe the experience". I have led bible studies and had personal one on one discipleship relationships on-going every week for 20 years. In all of this helping ministry life, I have learned that prayer alone is not the answer. A person can be the greatest devotional prayer warrior and simply live like a fool. Worse yet sometimes that person with the consistent prayer life and the same bad habits is me. In prayer, we learn some wonderful lessons. In prayer, I have learned forgiveness. In prayer, I have learned worship and God's love. BUT prayer has yet to teach me how to keep my mouth shut in situations where I need to learn to stay quite. Yet, James says "If a man learns to keep his mouth shut, he is mature". So, the lesson I have learned is that devotional prayer doesn't directly lead to sanctification. Devotional prayer is one skill. Living a beautiful life is another skill altogether, and the two are only indirectly related. Prayer opens the door to change, but learning the new desired skill and making it a habit is the path to actually walking through the door of change in the real world and on a daily basis. The meat is in the street!!! Last night, I was on pastoral visits. I always leave pastoral visits feeling absolutely great. Every visit seems to go well, and I always leave feeling I have been "in the zone". Preaching is the same way. When I step out of the pulpit, I am almost always filled with a sense of great joy. I usually think to myself, "WOW, that was a great experience". These two experiences are similar, and it has dawned on me that I can live every instance of my life like a pastoral visit if I learn and make a few practices the on-going practice of my daily life. When I go on a pastoral visit, I am going as a minister of grace. I am going in Jesus name. As I am speaking to someone, I, like all pastors I imagine, am thinking, "Lord, what is this person going through and what does this very moment call for me to do?" In short, my antennae are up. I am expecting the Spirit of Christ to be working through me. What is great about this orientation of my heart is that, I am both in prayer and, in that very moment, I am less distracted than normal. I am listening better. I am quiet. I ask questions. I am basically a completely different person. It really isn't me at all. "It is no longer I who am living but Christ is living in me". This is the mediated life. My life in that moment is a triangle. The triangle of relationships is myself, the person I am seeking to bless, and Jesus Christ standing between us. Our relationship is mediated by Christ. Before I speak, I am especially careful because I know I am Christ representative as I fulfill this special responsibility. But is not all of life a pastoral visit? Should I not be practicing the life of on-going conscious contact with God all the time? I am a better listener in this moment. I am more productive at the task at hand. I actually control my tongue which is a miracle. Yes, every day and every moment, I, and every Christian, is on a pastoral visit. The key is to learn to live this mediated life of being both present in the situation and spiritually aware of our union with Christ and our kingdom role as His ambassadors. This mediated life is the path to the Morally Beautiful Life. If we learn the anatomy of such moments, we can learn a method of living that actually standardizes the activities of our heart. We can teach others to walk in this way and multiply the virtue that results from living out what we actually believe, namely our Spiritual Union with Christ. 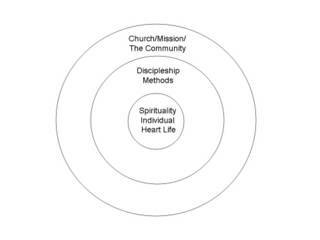 In my next post, I will pick up on more of the anatomy of this mediated life. There are certain attitudes of the heart which are contained in this orientation toward the moments of our life. If we can learn this skill and make this mediated life, the way of every moment of our life, then we will live a Sanctified Life.